Distinctive soft Grain Flow Forged feel with enhanced groove durability thanks to a infusion of Boron within the construction. Precise milling allows for loft-specific Quad Cut grooves to be cut as tight as possible (to R&A and USGA limits) for greater spin. Loft-specific grooves are wider and shallower in the higher lofts (54° to 62°) and deeper and narrower in the lower lofts (45° to 53°), to maximise spin on both full and half shots. 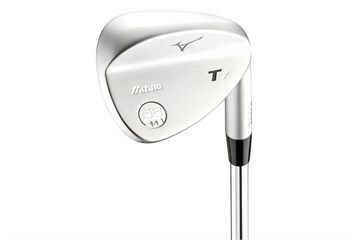 Pitching wedge lofts (45° to 48°) feature a straighter leading edge and topline for fuller shots, graduating into a rounded profile in the higher lofts (58° to 62°).